As the biggest piece of furniture in your living room, your sofa is typically the focal point of your living space. It should make a statement and immediately capture the eyes and hearts of guests. We narrowed down our top 3 statement-piece sofas — keep reading to see what they are! 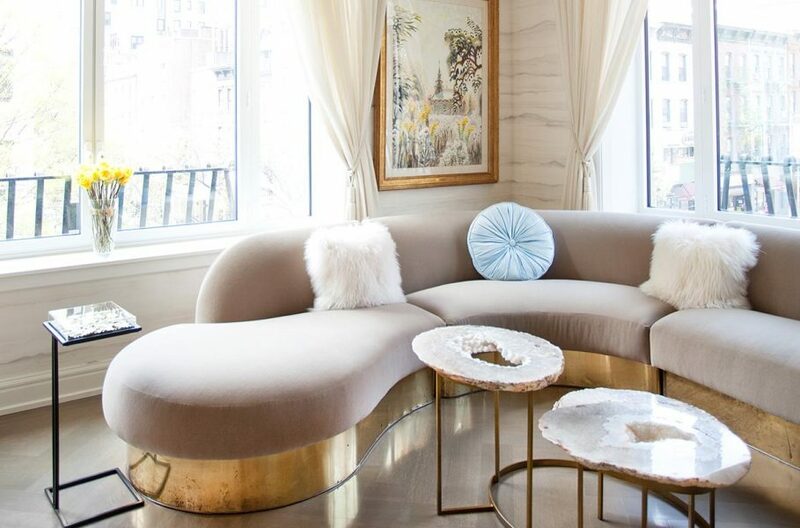 A curved sofa is a huge statement piece that showcases your style and creativity and is sure to wow guests with its unconventional, distinctive shape. Curved sofas are a fun twist to your traditional sectional and soften spaces with lots of hard, angular lines. 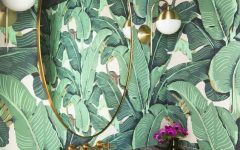 Their whimsical look helps to soften more formal spaces, creating a more relaxed, soothing, casual atmosphere. Lastly, their curvy design minimizes sight lines, contours your living space, introduces dimension by creating new shapes, and helps to maximize sense of flow. 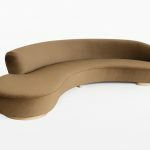 “Curved sofas are a terribly chic way to address communication and movement in a room or create an instant sense of cosy. 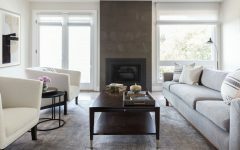 In this living room, we wanted something that would bring the fireplace into view, while not leaving the rest of the room out of the conversation. 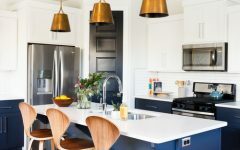 They are the ideal seating for a party, as well, as they allow the conversation to move in several directions, or create two intimate tete a tetes. Where should I place my curved sofa? 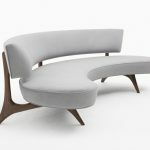 Because of its unconventional shape, spatial arrangements are especially important to consider when opting for a curved sofa. 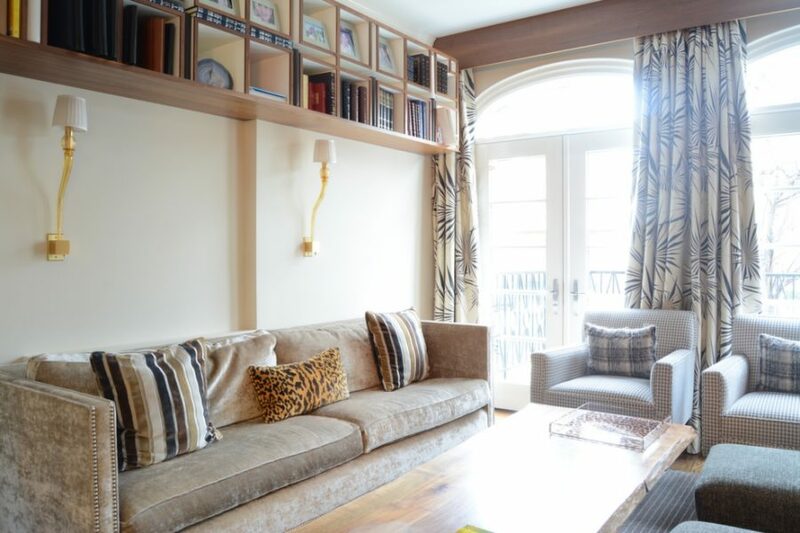 The most obvious place to put a curved sofa is in a curved corner or bay window. 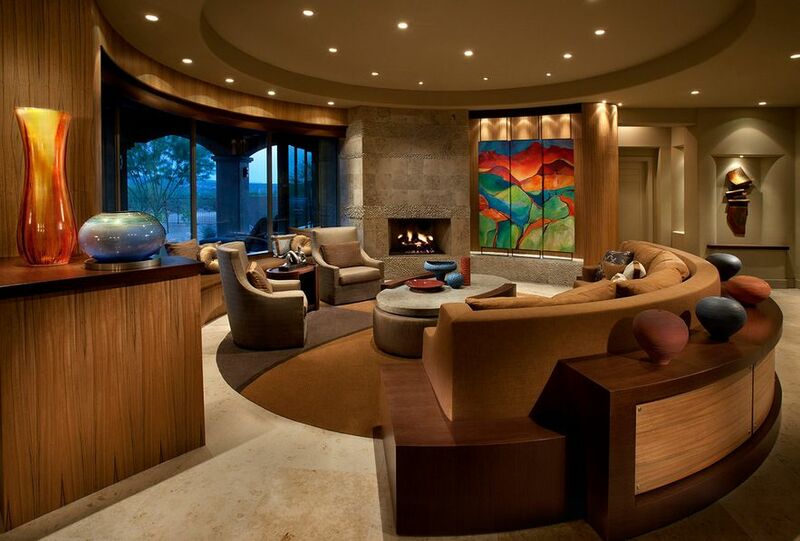 Aligning your curved sofa against a curved wall is a great use of space. 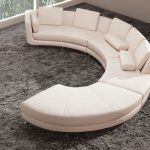 Curved sofas are also an obvious choice in living spaces with a circular layout. Otherwise, it is important to create a thoughtful furniture arrangement that complements your curved sofa. 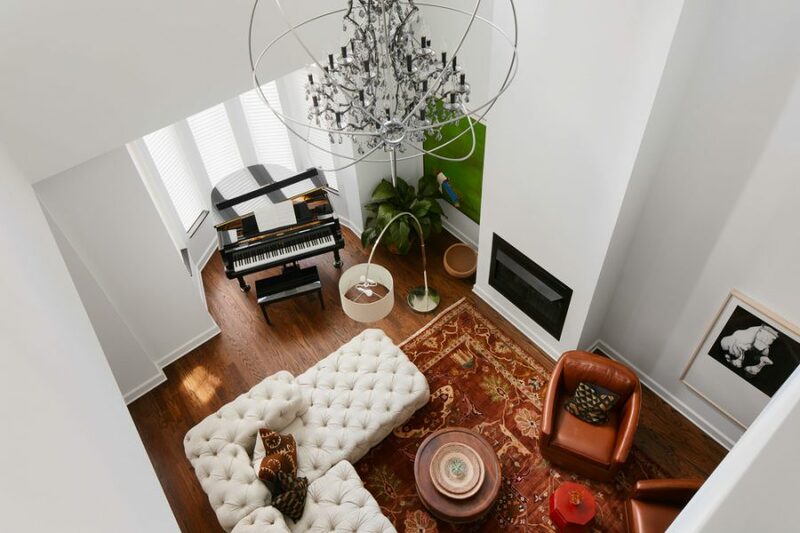 Create a distinctive living area defined by your sofa using pieces like rugs, coffee tables, and accent tables. 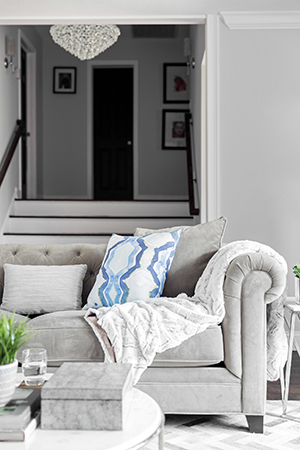 Build a focal point around your sofa and remember: balance, not symmetry! 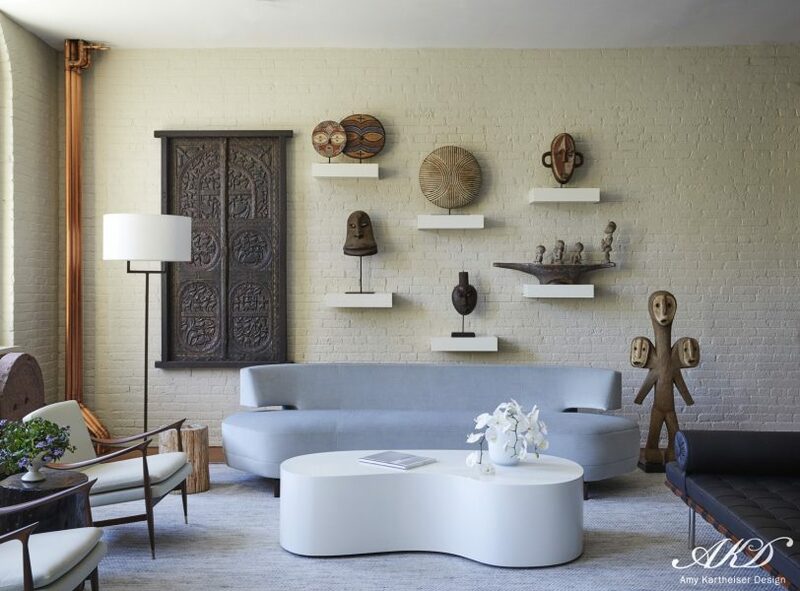 Repeat the curved lines of your sofa through other furniture pieces and accessories to create a harmonious look. 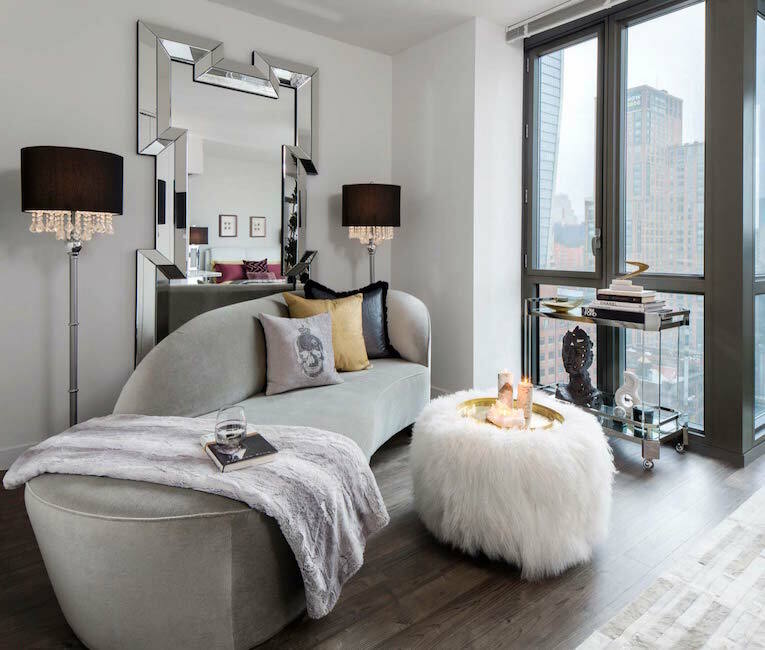 A round coffee table, chandelier or light pendants, and other accessories like round mirrors will help to make your living room look cohesive. As you can see here, the living room furniture is arranged in a circular layout within this square living room. 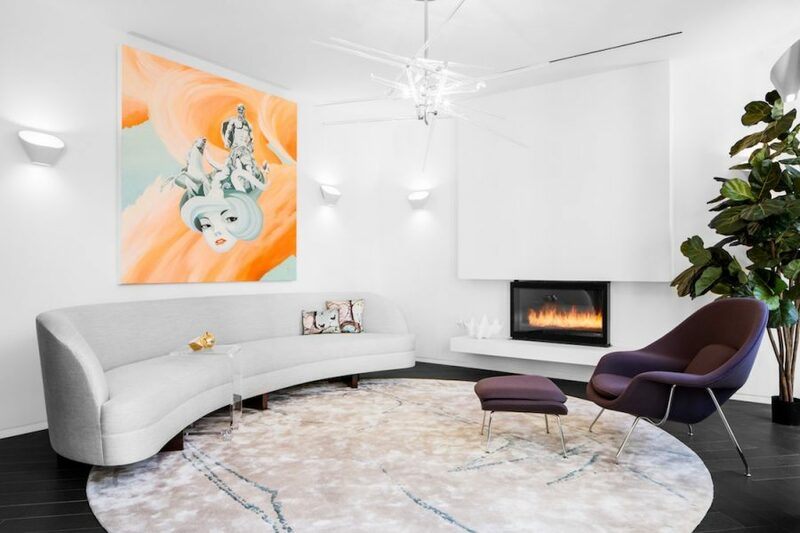 In this gorgeous living room by Sasha Bikoff Interior Design, the dusty pale pink curved sofa by Milo Baughman is truly a showstopper. 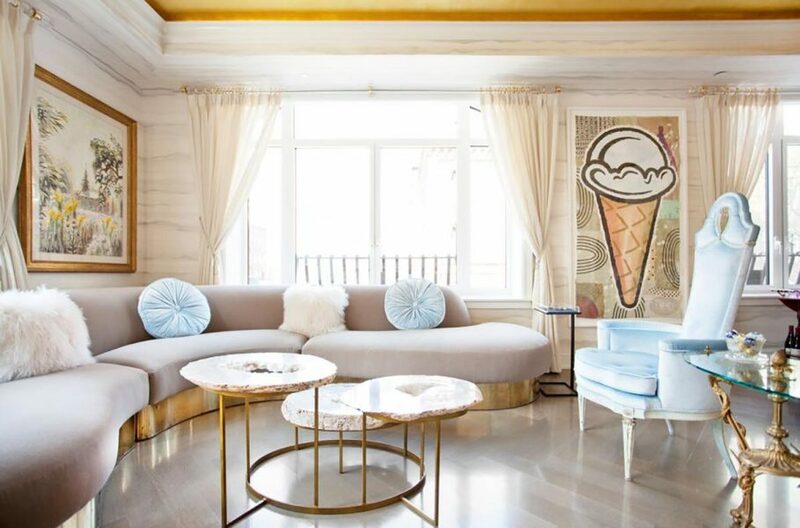 The pastel pink complements the color palette of the room while the brass base complements the gold accents throughout the room. The cozy velvet is played up with white plush pillows, and the curved lines are repeated in the round multilevel coffee table that fits perfectly in the curvature of the sofa. 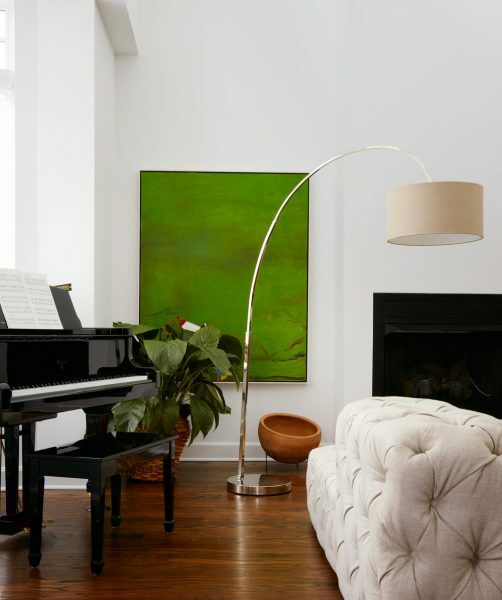 In this serene living room by Amy Kartheiser, the curved sofa is subtle, but distinctive. 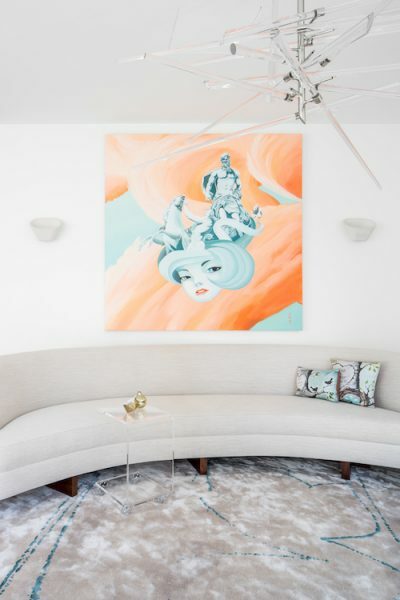 The curved sofas are complemented with curvy coffee tables, and the pale blue in the sofas looks chic and sophisticated against the glossy white in these tables. 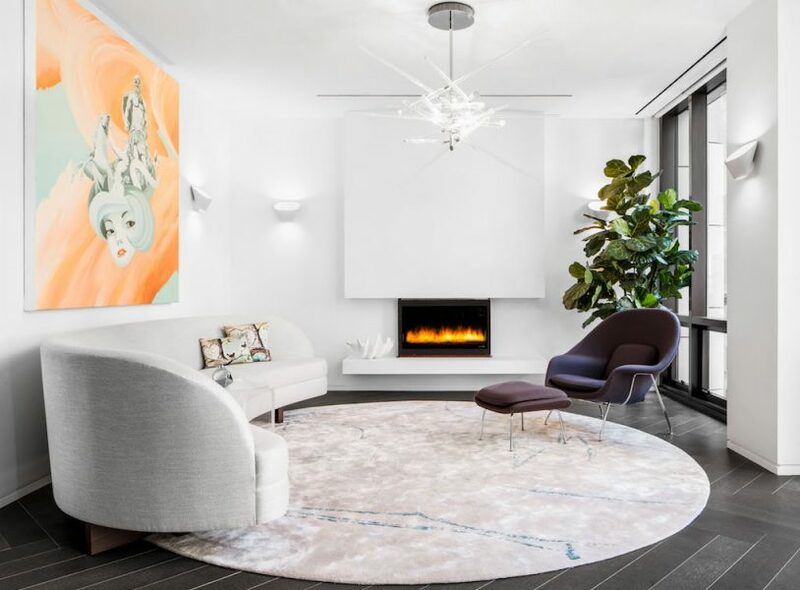 In this chic living room by Decor Aid, a curved sofa helps to create visual interest against a backdrop of vast, stark white walls. The furniture is minimal, but impactful. The sofa is complemented by the round rug and accented with a single purple chair. 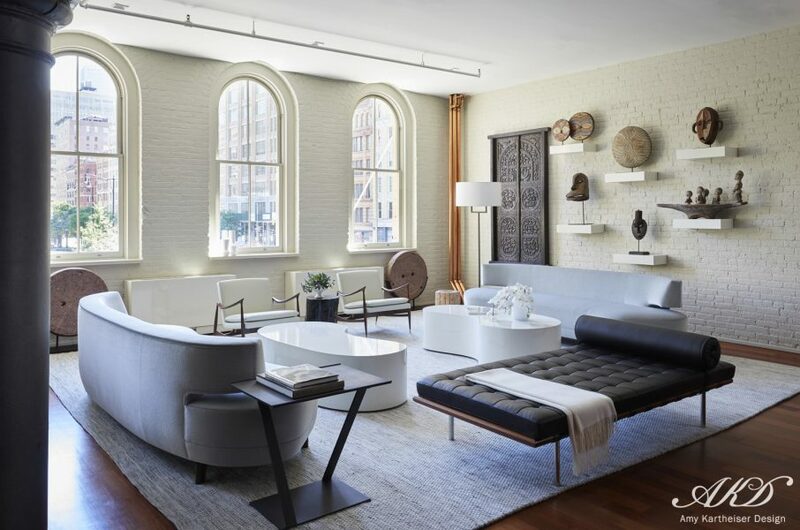 Again, designer Jen Talbot repeats the curved lines of the sofa through the round leather accent chairs. 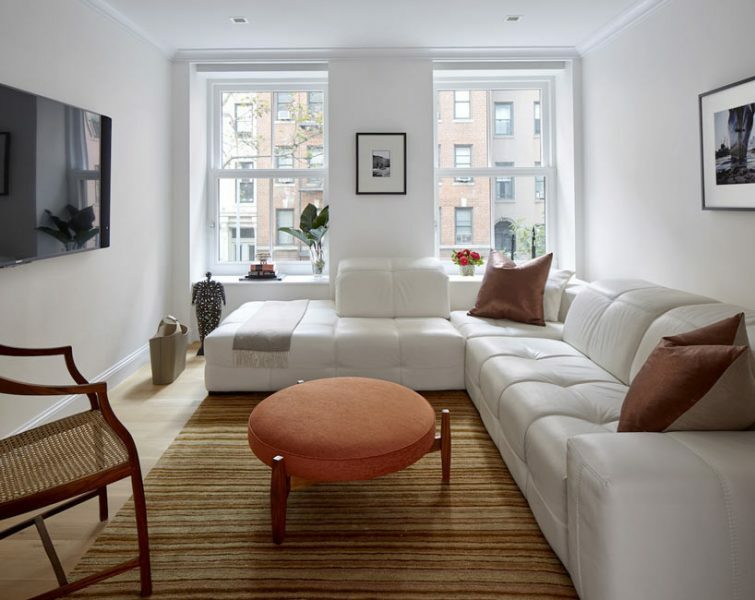 This classic layout proves that curved sofas can work in small spaces. The look is completed with a minimal, see-through coffee table that doesn’t clash with the geometric shapes of the seating pieces. 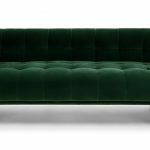 Another sofa that makes a statement is the velvet sofa. 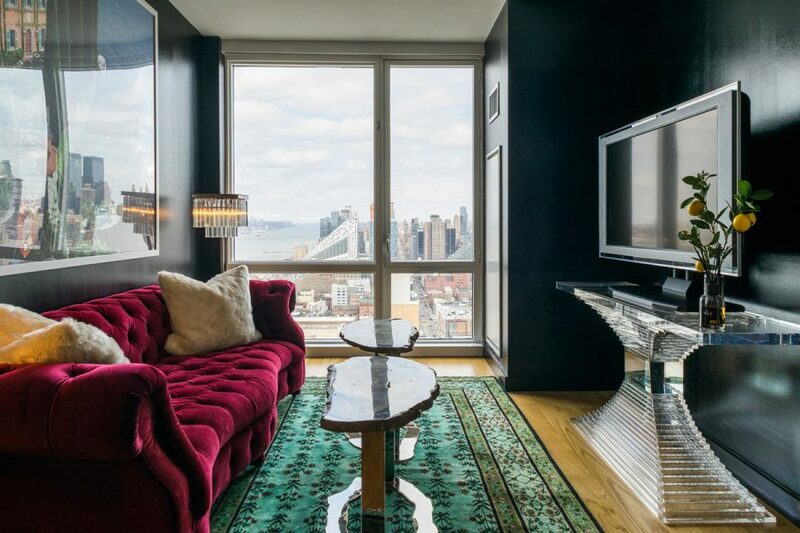 Velvet sofas have a cozy, charming, luxurious effect on a space. 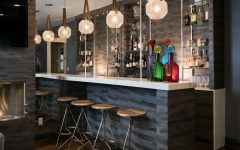 Velvet is a soft and rich material that adds texture and warmth and works well in any aesthetic. 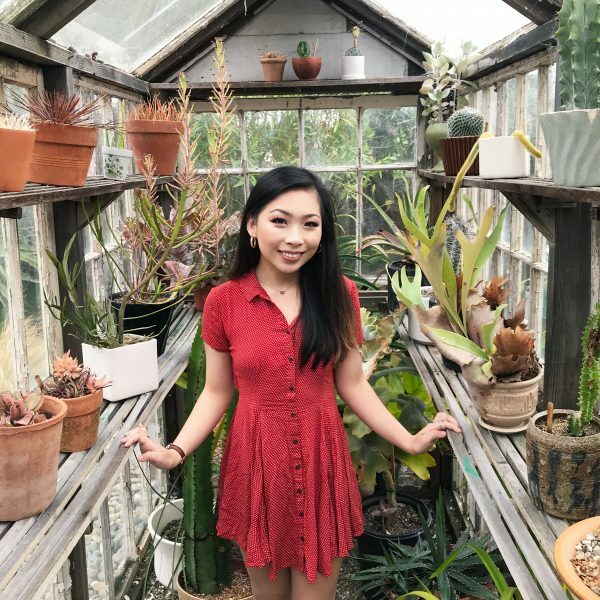 Fortunately, velvet is also a material that works well with different materials, so you don’t have to worry about it clashing with your other pieces. 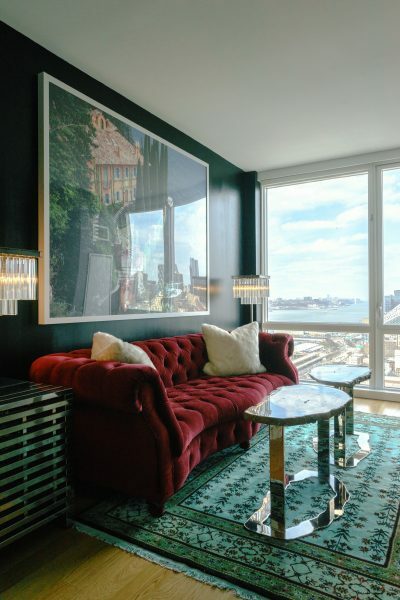 Velvet sofas add character and sophistication. 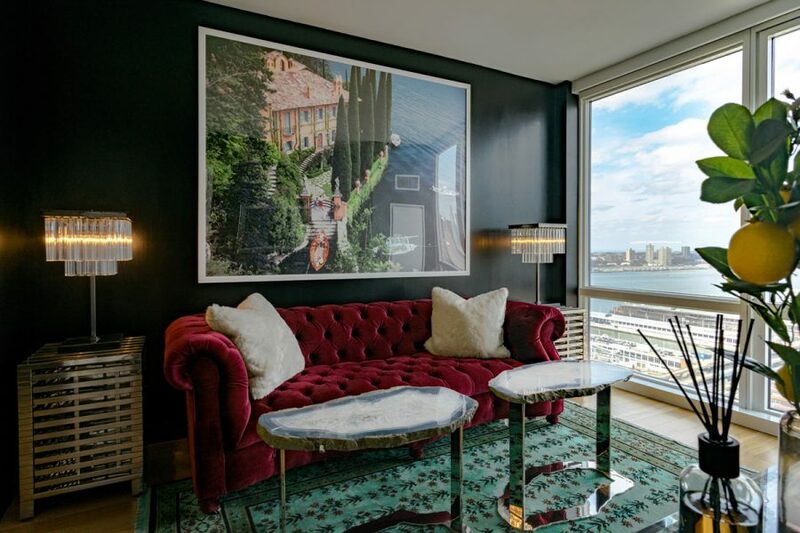 While many people associated velvet sofas with drama and glam — which we love in luxurious settings — they can also work in more classic, modern, and casual spaces. 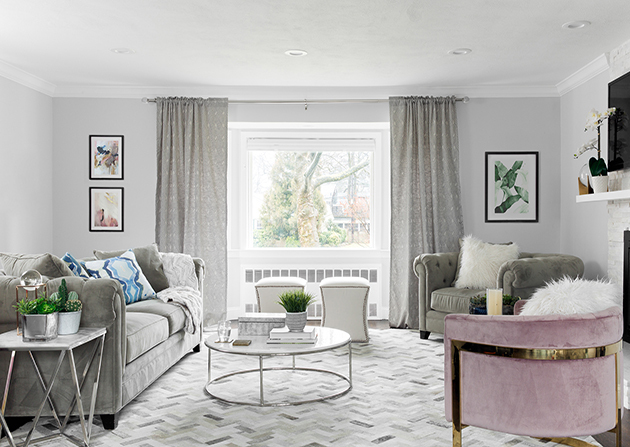 Opt for a neutral, muted color like gray for a timeless look. 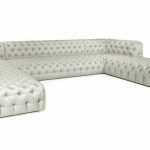 Tufted velvet sofas are also popular because the tufting helps to highlight the dimension and texture in this luxe fabric. Our last contender is the leather sofa. Leather sofas are perfect for creating contrast and adding texture and warmth, and have a masculine yet gender-neutral look. They are perfect for dark dens as well as bright, open living rooms. 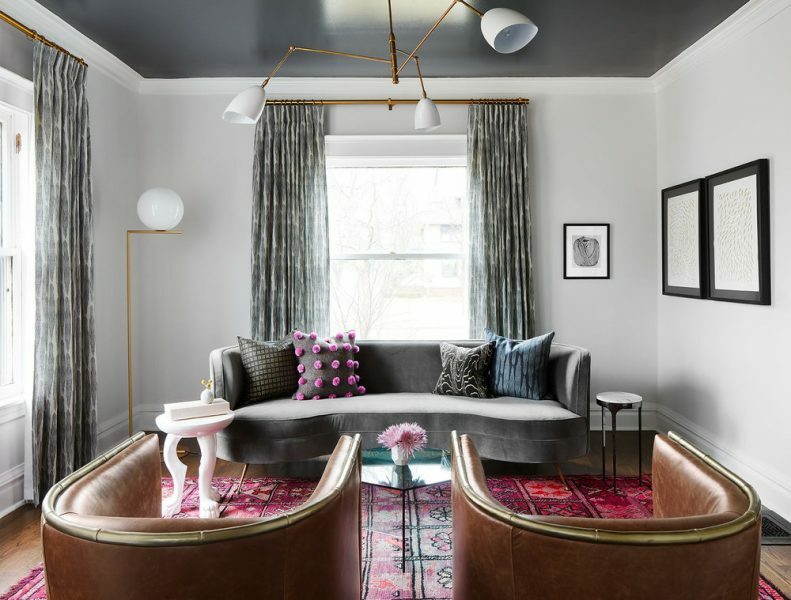 ProHINT: Since leather sofas typically lean on the darker side, style them with lighter colored pieces or against a white wall for a clean look. 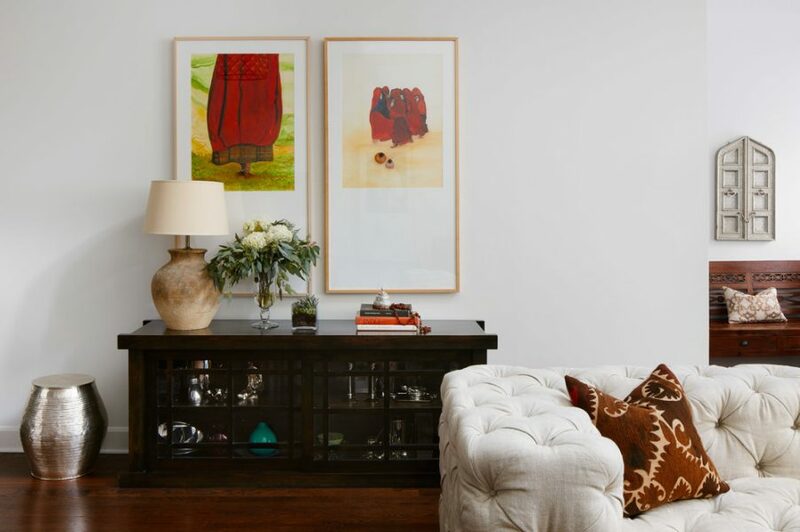 Balance this heavy piece of furniture with lighter pieces and tone down its visual weight with contrasting materials like upholstery, wood, and metal accents. 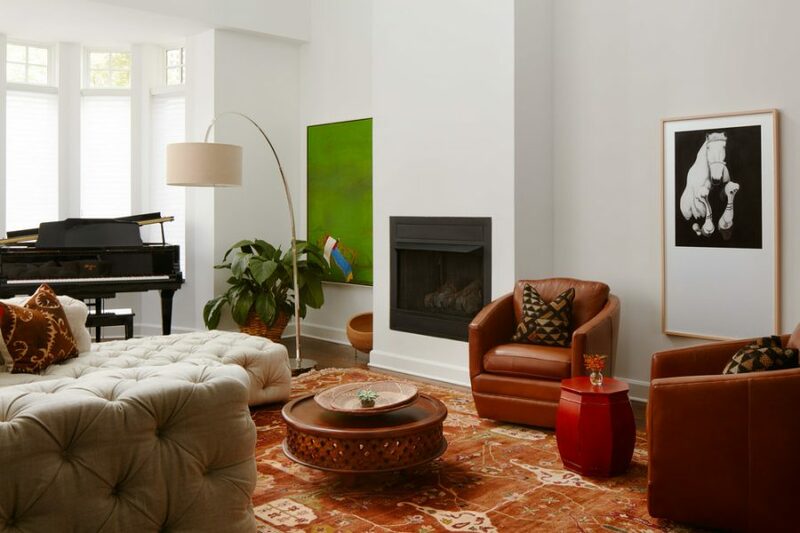 In this living room by Decor Aid, a luxurious leather sofa adds comfort, dimension, and texture in this minimal space. Rather than overwhelming the space, the light color and soft lines allows this huge piece of furniture to have a cozy effect. Finally, the upholstery in the coffee table and pillows helps to soften the leather material. 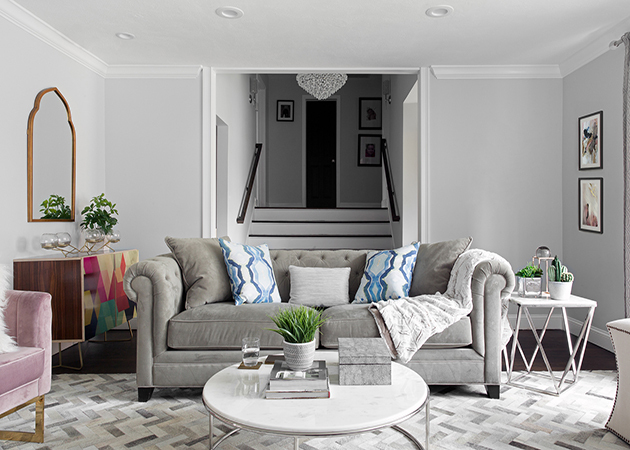 In this living room by Jen Talbot, the all-white fully tufted leather sofa is truly the focal point of the room. It creates a clean and crisp contrast against the warm browns in the flooring, rug, and other pieces. What did you think of our top 3 statement-piece sofas? Agree or disagree? Comment below!